In How Many Hours Per Week Is Your Child Exposed to the Minority Language?, I mentioned how I began the practice of daily homework with my kids from around the age of 3. Frankly, I would have preferred to wait with written work until they were a bit older—which seems more in line with a child’s natural development. But the hard reality is, I felt it was important to give literacy in the minority language (for us, that’s English) a strong head start before they entered our local elementary school and their literacy in the majority language (Japanese) then quickly took off. Plus, I figured that if I established a daily “homework habit” from a young age—and made their first experience of this as enjoyable as I could—it would take root more easily and become an expected part of their lives, like brushing their teeth. If I had waited until they were older, not only would it have been harder for their English literacy to develop alongside their Japanese literacy (particularly since the two writing systems are so different), I think it would have proven more difficult to incorporate this routine into the lifestyle they had already grown accustomed to. So around the time they were 3—when they could comfortably grip a pencil—our daily homework habit began. 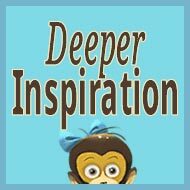 In this post, I’ll share all the “secrets” with you, including links to the materials that have been most useful to me. This is the natural question asked by a reader the other day. 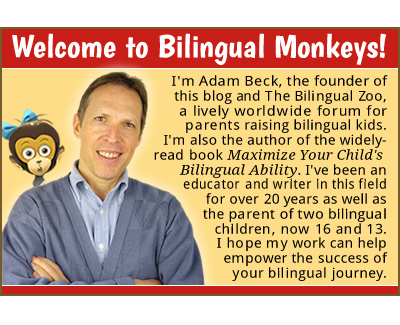 Of course, the activities and materials will vary, depending on the target language, but I’ll tell you exactly what I’ve been doing at home over the years in my quest to nurture the reading and writing ability of my children. (Lulu is 8 now and Roy is nearly 6.) Even if the materials I mention aren’t relevant to you, the overall structure might serve as a helpful model for your own routine. I read aloud to them, every day, from the time they were born. 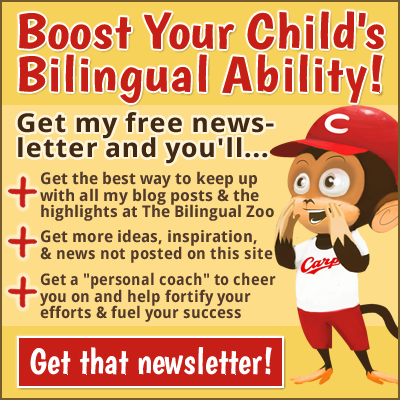 As I’ve discussed in The Secret to Raising a Bilingual Child and other articles on reading, I believe that reading aloud is the number one way to promote a child’s language development. If reading aloud in the minority language isn’t made a regular practice in the home, the bilingual journey will likely be far more difficult. As soon as they could sit up and grasp a fat crayon, I had paper and crayons freely available for them to use (and later, other drawing/writing tools like markers, colored pencils, pencils, and pens). Because they began scribbling early, and often, their little hands gained good motor control and this scribbling gradually evolved into drawing and writing. The heart of our homework time has always involved reading. As Stephen Krashen argues so persuasively in The Power of Reading, the act of reading fuels greater proficiency in all language areas—including writing (good readers grow to be good writers)—so focusing on reading is actually the wisest, most efficient way to promote the whole range of a child’s language skills. Before my kids were able to read, I simply continued reading aloud to them (individually), for 15 to 20 minutes, which formed the first portion of our homework time. As the months passed, and my finger trailed under the text of every book, they began to remember and recognize their first words quite naturally. Then, when they were about 4 or so, I introduced a series of small books for beginning readers called Now I’m Reading! These fun little books were very effective as a springboard to early independent reading and they both completed the series by around the age of 5. See Now I’m Reading! for my full review of this series, along with a link to the publisher. From there, we moved into “shared reading”: starting with simple picture books, we took turns reading together, page by page. And as their reading ability steadily grew stronger, we progressed to harder picture books, then easy chapter books, and finally harder chapter books and children’s literature. Currently, Lulu and I are reading the first Harry Potter book, while Roy and I are reading the longer books in The Magic Treehouse series. See How to Get Your Child Hooked on Books for more on The Magic Treehouse and other good chapter books that come in a series. It’s no secret, then, how both children became competent readers: books, via reading aloud and, later, shared reading, have been a big part of their daily lives from the time they were born. Along with reading aloud, and then, shared reading, a succession of workbooks have also formed part of our homework routine. Workbooks, of course, often conjure images of children hunched over a desk, bored to tears. But there’s a very good reason, I think, for this ingrained idea: most workbooks are boring. Yes, they may do a decent job of developing certain language targets, but that doesn’t make the content itself any less dry and dull to most kids (and their parents). As a teacher myself, I know that producing materials which are both effective in their educational aims, and actually fun to use—with some creativity and humor—is a challenging task. I sometimes create my own materials for my kids and my students (like my “captive reading” stories), but I naturally don’t have time to generate good materials at a daily rate. So I’ve come to accept the fact that most of the materials on the market will be kind of tedious, and I only ask my kids to do a little bit at a time. The trick is to do a little bit daily, because a little bit daily becomes a lot over time. When it comes to workbooks, then, here are some of the better materials I’ve come across so far, shared roughly in the sequence that we’ve used them. In my experience, dot-to-dot books are the most gentle, most enjoyable way to introduce “written work” to a young child. My use of dot-to-dot books with Lulu and Roy, after the read-aloud time, was a good success: not only did it help nurture their knowledge of the alphabet and numbers, and pave the way for real writing by practicing controlled lines, it set a positive precedent for all the written work that followed. Just two things to bear in mind: 1) The difficulty of a book must match your child’s level of ability (start with the simplest books, with no more than 10 or 20 letters or numbers per picture, and progress from there); and 2) My kids burned through these books quickly so you’ll probably need to purchase a stack of them! See Usborne and Balloon Books for many of the dot-to-dot books that we used. Is that a shark fin in the pool? Although I tend to focus primarily on “whole language” activities (through reading aloud and shared reading), I do recognize the value of phonics work as a supplemental activity to strengthen reading skills. Toward that end, once my kids had a good grasp of the alphabet and seemed ready to write letters and short words, we left the dot-to-dot books behind and moved into some phonics material. I had been hunting for good reading workbooks for some time, so I was happy when I stumbled upon Evan-Moor’s Daily Reading Comprehension series last year, available for grades 1 to 8. If I had known about the series earlier, I would probably have introduced them right from the Grade 1 book—using this level alongside the early Spectrum phonics books. See Daily Reading Comprehension for my full review of this series, along with a link to the publisher. The first journal (My First Writing Prompts Journal) features simple prompts in which the child simply chooses and copies a word or words to complete a sentence, then illustrates the idea. The next journal (My First Draw & Write Journal, currently used by Roy) enables the child to write a sentence of his own, then illustrate it. And the third journal (Draw & Write Journal, currently used by Lulu) provides a page and a half for writing, along with space for an illustration. Ready-made journals aren’t really needed, of course—you could create something similar on your own—but it’s helpful to use writing paper that’s age-appropriate for your child, like these journals provide. Writing paper can easily be found online and printed out for this purpose. The remarkable homeschooling site donnayoung.org has an array of writing paper that can be freely downloaded as PDF files. We currently maintain a regular correspondence with a number of people, including family members and pen-pals in a few different countries. Lulu is now writing to five people, while Roy is writing to four. Though the work itself is sporadic, they probably write a letter once a week or so. At a younger age, as with Roy, I’ll transcribe what he wants to say and then have him copy it over onto writing paper. With Lulu, who can now write more freely, I’ll ask her to write the first draft on her own, we’ll edit it together, and then she’ll put the final draft on stationary. 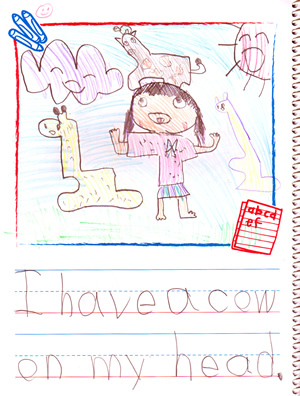 Recently, about once a week or so, I’ve also added translation practice to Lulu’s homework routine. We’ll each translate the same page from Japanese into English—to start, we’re using the Japanese version of Arnold Lobel’s simple Frog and Toad stories—and then we compare our efforts, explaining why we made certain choices. Translation is a special challenge, demanding a deep sensitivity to both languages, and I believe beginning this practice from a fairly young age (interpretation, too) is a powerful way to advance a child’s bilingual ability. 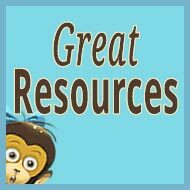 Homework Helpers (from Frank Schaffer Publications), a series of small, inexpensive workbooks of word puzzles, word searches, and other language practice activities. Games for Reading and Games for Writing, both by master teacher Peggy Kaye, are wonderful books with a range of fun, playful games designed to promote literacy. I’m not rigid about the amount of time we spend on homework each day, but I do try to aim for roughly 30 minutes. The content of our routine has naturally evolved over time, but reading books—reading aloud, and now shared reading—has always been at the core of this effort, along with the various other reading and writing activities I’ve described. While I’m now able to read aloud the same book to both of them at our read-aloud session each morning at breakfast, their homework time—because of their different needs when it comes to reading and writing—remains separate. This means I must squeeze in two 30-minute blocks each day to maintain our routine, though as they grow older, they’ve become capable of doing some of the work on their own. When they complete their homework for the day, they earn a piece of (sugarless) gum. It sounds silly, I know, but gum became their little reward long ago and it does add to their daily motivation. I also offer them small incentives for finishing a reading book, like little Pokemon figures. (Roy loves them!) I know there are various views when it comes to rewards, but I’ve found that modest incentives can heighten enthusiasm and help sustain effort. In the end, though, the real key to a successful homework routine is you. How much time and energy are you able, and willing, to give to this ongoing challenge? In my case, as long as my children are attending a Japanese school, I don’t see any alternative but to continue plugging away, day by day, if I wish for them to reach a high level of literacy in English, too. To continue this look at the “secrets” of our homework routine, don’t miss my follow-up post, written 18 months later: Secrets of a Successful Homework Routine, Part 2. How about you? What sort of activities and materials make up your homework routine for the minority language? Thank you, Adam! Great summary of what we can do as teachers in the family to support our bilingual children. I would add that even though I agree its ideal to start at a younger age, some children are not ready and need more time in the dominant language before beginning. Otherwise lessons can seem more like World War II, especially if a child has dyslexic issues or auditory processing challenges that won’t be caught as easily at the preschool age. Even teenagers will not complain about reading elementary school age level material if that is the most comfortable reading level for them. That’s been our experience. The other point I would add is about rewards, making the lessons fun. As parents we have to play doubly hard at being our own kids’ teachers and they will send us around the bend unless we set controls and incentives that they can enjoy as part of their lessons. Liane, thank you for your comment! These are all wise thoughts. As you point out, every parent needs to be sensitive about when and how to begin working with their children at home to nurture literacy in the minority language. Earlier may be better, but it won’t always be better for every child. And, I agree, establishing a structured routine, and reasonable incentives, are important measures for both our success and our sanity! Hi. It seems like we are in the same boat! 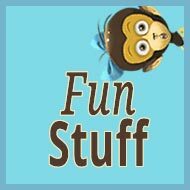 Like the site and the subject and will link here from my blog (also about raising bilingual children in Japan). Nick, thanks for your kind comment. I visited your site and applaud all the good work you’re doing with your daughter. Let’s keep up our efforts! Cheers from Hiroshima to Nagoya! 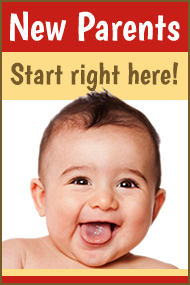 I am wanting to teach my child French (english is dominant language). However, I have extremely limited experience in French, so I am essentially learning alongside my child. How exactly would you advise I go about doing this? I have been collecting French picture books, music/songs and French videos and cartoons I’ve found on youtube. I’ve decided to ban all cartoons unless they are in french. lol Since I barely read French myself, I don’t even know what to look up. I’d love to find good french workbooks, but the ones I’ve run across so far aren’t that great, especially compared to the wealth of ones I find in the US. Thanks for the very informative post, btw. Amanda, it sounds like you’re making some very good efforts to expose your child to French. At the same time, I think you’ll need to create opportunities beyond the “passive” input you’re providing so that the child can engage in interactive experiences in the language, too. You don’t mention where you live, or the age of your child, but I would seek out French lessons, tutors, babysitters, exchange students you might hire to play with the child, etc. Without such interactive experiences (perhaps you could also take part to improve your own French! ), it will be hard to progress beyond a point of passive ability. Input is vital, but output is essential, too. Keep at it! You can do it! Everyday, I make it a habit of reading your posts ! I think your articles are good to make parents like reading too. Just like what is happening to me right now! Isn’t it so obvious to you that you get me hooked on your site!? And thank you for that! I am learning a lot from you and from other parent’s comments too! And I get excited each time I learn new ideas from you. Thank you, too, Raira. I’m really happy to hear that. Please stop by any time! Great resource and ideas! We also have a daily target language homework. It varies with our schedule since my children are older. We do interactive reading almost daily, I read to them and they read to me in our target language. We play games, yes, that counts as homework on a busy day. We do experiments on the weekend and kids love it, and they expand the vocabulary in science. We have writing as well and I make the worksheet for them so it is not too overwhelming. Amanda, thank you for sharing these details of your efforts. You’re clearly doing a terrific job with your kids, and I have no doubt that their progress is strong and steady. I was just thinking this morning that establishing and maintaining good habits and routines is a fundamental part of this long-term challenge. 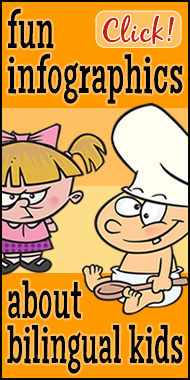 Just wanted to mention the website for English flashcards and posters SparkleBox for the ones it might interest. 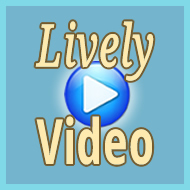 This website is used by primary schools so is sorted by topics. And…since I have used jelly beans for rewards…French homeworks are done willingly! Nathalie, thank you for mentioning this website—it looks useful. And I’m glad to hear you’re having some success getting your kids to do their homework! Hooray for jelly beans! I had never heard of The Magic Tree House, but it looks great. I usually try to get my children to talk to me about the homework they have from school – the homework itself is in Greek, their majority language, but we discuss it in English. This is easy when it comes to maths, of course, but things get a bit more complicated with language. Generally, I let their father go through Greek grammar exercises or whatever language activities they have with them in Greek, and then we do some English languages activities together. Mostly I invent my own exercises, although I do have a few ready-made books. I like your translating idea, and I plan to take that up! I also make a point of reading to them and with them every day, although I had never thought of it as homework! 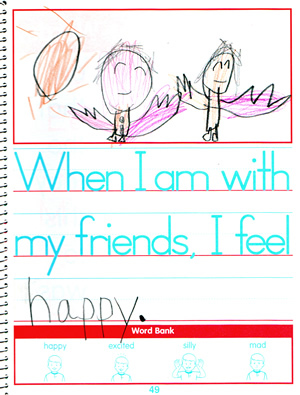 Alex, thank you for sharing your homework activities with your children. Our materials and methods will naturally change over time (as mine have somewhat since this post was made), but a persistent daily routine, with books and reading at the heart of our efforts, pays off significantly over time. In my case, it’s getting more difficult to maintain this routine as the children grow older—their school day is longer and they have heavier loads of homework in Japanese—but I still make homework in English a very high priority and it’s a rare day that our reading and writing activities are skipped entirely. Wow! What a great idea to use translation practice! Somehow never occurred to me although I am a professional translator myself. This could be turned into a whole language arts program for both languages simultaneously. But would only work with a child who is very able linguistically, I think. Would love to learn more about your experience with this if you continue this practice. Thanks for a very interesting blog with tons of useful materials. Maybe you’ve already delved into this in another post, but could you expand on the penpal aspect? Where did they find penpals? How long are the letters? What do they write about? Do you ever send penpal care packages? Seems like this would be a great way to engage their social as well as linguistic side for kids who are a bit more shy. Currently, our most active exchanges are with family members: my father, my mother, and my nephew (their cousin, who’s the same age as Lulu). So, even if you communicate with family members through other means, such as Skype, I would still recommend pursuing a regular letter-writing exchange, too. My parents, especially, are good about writing back promptly, and I try to stay pretty timely on this end, too, which means that my kids are writing letters to them (separately, since they live in different locations) about once every 4-6 weeks. When children write to grandparents, they can also discuss rich topics that normally don’t arise in conversation, such as the grandparents’ memories of their own childhood. (I sent letters the other day to my mother where my kids are asking about her interest in drawing as a child, and also want her to draw some pictures of her cats for them!) And, of course, these letters from grandparents will one day be valuable keepsakes. At the same time, we’ve managed to maintain, with less regularity, exchanges with three other families: two of these families are friends with children of similar ages, and the other—actually, our very first exchange, with Lulu—was born when I saw a family’s appeal for a pen-pal for their daughter in a Yahoo list that I subscribe to (see The Lively Virtual Community of “Education in Japan”). They live in the United States, but they were looking for an English-speaking pen-pal who lives in Japan. And, yes, particularly in our exchanges with other children, we do send little packages of gifts from time to time, like at birthdays and at Christmas. Even more than the letters, the packages always provide a boost of motivation for them to pick up their pencils and continue writing! I have no idea how I missed this post before! Adam, you’ll never cease to amaze me with your creative ideas. A shame I can’t copy them easily since we don’t have the same minority language. I don’t see her doing her “homework” in bed, and I don’t think that’s a good idea. Mayken, yes, it sounds like time is tight. Not knowing the full details of your lifestyle, I can’t really judge what would be best, but I’m wondering if you could possibly squeeze in even five or ten minutes in the morning, instead of trying to establish a homework routine at night. Maybe it would work, but I could see it being tough to maintain, night after night. And that’s the thing, a homework routine, to be sustainable and effective, really needs to be a persistent practice, and this naturally becomes easier when there’s a regular rhythm of activity at roughly the same time each day. Most useful post for me. I am doing with my older son some of these things. He has got a knack for puzzles!!! He loves trains. I always try to prepare homework connected with his interests. I am teaching phonics with “progressive phonics”, a free programme. We also begin to read three letter words families… During the last advent he did “dot to dot” worksheets every day. Anyway your posts support all that I am trying to do with my little ones!!! Now I have a question for you!!! Some people around me says that I don’t have to teach English to my children, especially to read. According to them my kids can have difficulty at school with the majority language, Italian. What do you think about that? I know very well Italian and I am fluent in it more than in English. I am teacher here!!! Sometimes I have got the temptation to do both languages with my kids. Then I came to a conclusion: I will teach English and at school they will learn Italian. The Italian phonemic system is entirely different from English. Do you think that I have to use the translation method? I always refused it, even if my kids do it spontaneously! Please, clear my ideas!!! Thank you!!! Reena, I’m glad this post is useful for you. It sounds like you and your son are doing well with your homework routine. Keep at it! As for your question, because I don’t know Italian, I’m not sure how helpful I can be. I would say, though, that if you continue to nurture your children’s English literacy at home, they’ll likely still do just fine at acquiring Italian literacy at school. This isn’t something I would be concerned about, despite what well-meaning (but uninformed) people say. I’m sure there have been many parents, before you, who have been successful in fostering English at home, Italian at school. And, generally speaking, I don’t think you’ll need to continuously translate the text for your children. If you choose books that are at an appropriate level, translation can be kept to a minimum. You have some really great ideas. I live in The Netherlands and have brought up our 2 girls speaking English. They are now in grades 4 and 6. I have read aloud in English to them since birth. They can read a bit themselves, but I never took them any further with reading and writing because I found it so important for them to get a good grip on their main language of Dutch. Now I want more for them. I’ve looked at the Spectrum series. Is it best to start them on a grade or 2 below where they are currently or at their own age? What is your idea on that? Carol, it’s important that the content of the book match your children’s language level and current needs. 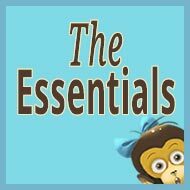 The book should stretch their language development, but not be too challenging or the effort won’t be sustainable. As I can’t really judge your children’s level, I would simply encourage you to look inside any book you’re interested in at Amazon (or another online retailer) and consider carefully whether that book is a suitable match. Imagine using it with them, day after day. Will it work? In my case, I don’t always make the best choices (and we don’t do every page of every book), but I do keep seeking out fresh materials by studying the content online and placing regular orders. I would also encourage you to make active use of captive reading. This strategy has had a very positive impact on my children’s literacy development over the years. We are not at the homework age yet since my daughter is only 14 months (although I do read aloud to her every day). I was wondering, though, how you get your kids to do EXTRA homework in addition to their school work? My niece and nephew, who are 8 and 10, have tons of homework! Your site is awesome and I’m so glad I found it early on. I’ll be using a lot of your resources since our ml is also English. 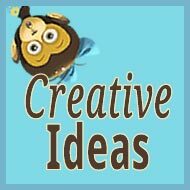 Do you have any book suggestions for the early ages (1 to 2 years)? Heidi, I hope my work can continue to be a helpful source of support for your success. I look forward to hearing good news from you as time goes by! To sustain a daily homework routine, I think it helps to start the process early, when the children are small so that this activity becomes a firm habit for everyone—including the minority language parent. If it isn’t like brushing your teeth—something that’s done reflexively every day—I think it’s much harder to maintain. At the same time, the amount and content must be appropriate for the child and as engaging as possible. Yes, a daily homework routine is a significant commitment, but if literacy in the minority language is an important aim, then the parent must make this a relentless priority—day after day, week after week, month after month, year after year. As for books for little ones, we had a lot of fun with the board books by Sandra Boynton. 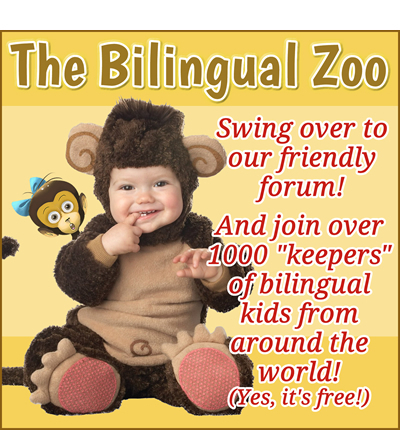 You’ll also find a variety of ideas in this thread about English resources at The Bilingual Zoo. Kelly, I’m afraid I don’t know much about Japanese materials for English-speaking children, but maybe Hiragana Mama could be helpful? Also, the Japanese app from MindSnacks might be a useful resource. 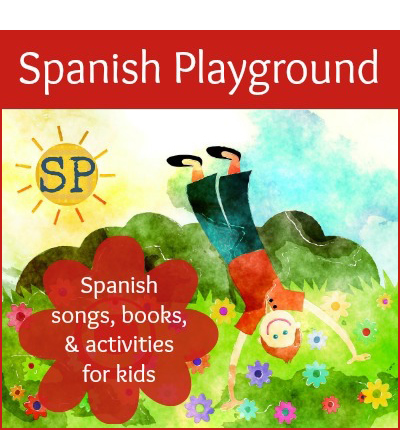 We have their Spanish app and it’s quite engaging. In fact, recently I was looking into Japanese apps for myself, and found a much wider selection than I expected, so you may discover other useful apps for kids and/or adults at the App Store. Good luck, Kelly! And ganbatte! Tracey, if she isn’t quite ready for sustained seatwork, you could try making similar literacy efforts in a more active way, to meet her current needs. 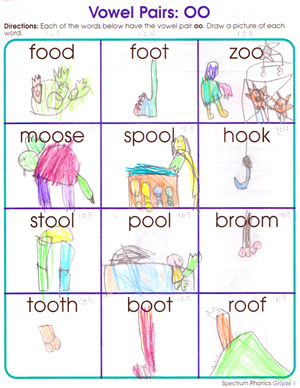 One quick example: Spread out flashcards on the floor (letters, words, numbers, etc.) and take turns calling out a target for the other person to jump onto, from card to card. With some creative thought (and further ideas from sites that focus on “active language games”), your “homework routine” can start as a more playful and active time together, which perhaps ends with a little seatwork, too. (After she jumps about, maybe she’ll be better able to sit for a few minutes to do a quieter activity.) Then, as she matures, the active part can gradually decrease while the seatwork part increases! Thanks Adam for all the great advice! Yes, that’s definitely a good idea but when she’s in her worst moods she doesn’t want to do anything I suggest, only watch TV or play the games she wants to play!! (I’m a TEFL teacher so have lots of ideas/games we can play although it seems more difficult sometimes to teach my own child! !…especially combining it with occupying her little brother at the same time!!) We did a great easy science experiment last week with Skittles and the past few days she has actually done some dot-to-dot/mazes/colouring etc and 2 Ebooks in English yesterday so feeling much more positive about it!! Just keep at it, Tracey! All this will probably get easier as your children get older!